Does your child enjoy crafts as much as we do? I sat with my 5 year old son and let him choose as many Halloween crafts he'd like to do after school. 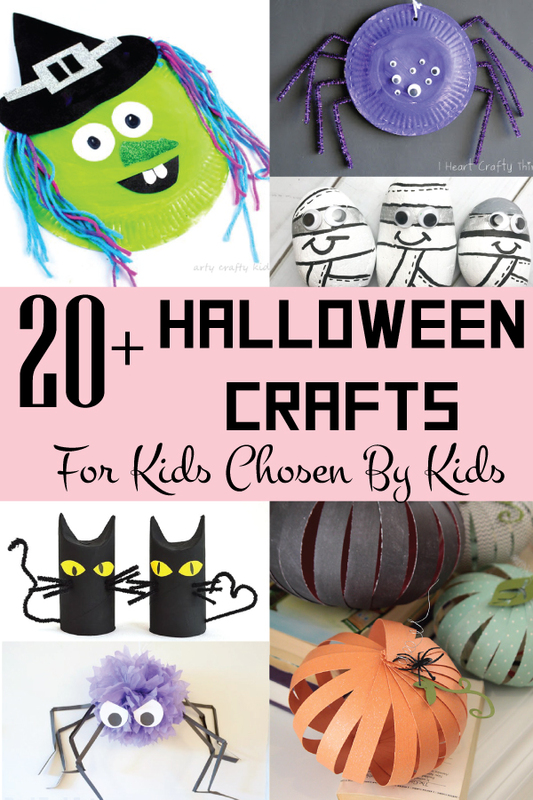 We found 20 plus Halloween crafts for kids chosen by our son, then i added in a few I'd love to do. We are HUGE fans of Halloween in our house, so as soon as it gets to September we are getting ourselves prepared and excited about it! From picking our costumes to deciding which fun party games to play and what spooky looking food we can make for our annual Halloween party with all of the family. Our most favorite part to the lead up of Halloween is doing arts and crafts, my eldest son is always asking me if we can make Halloween crafts and I love it as it means we get to spend quality time together as well as having fun. Crafts are also a great way to encourage creativity in your child as well as bring out your inner child. And what better way to make your house full of scary Halloween themed crafts. This is what happened when I let my son find his favorite Halloween crafts. 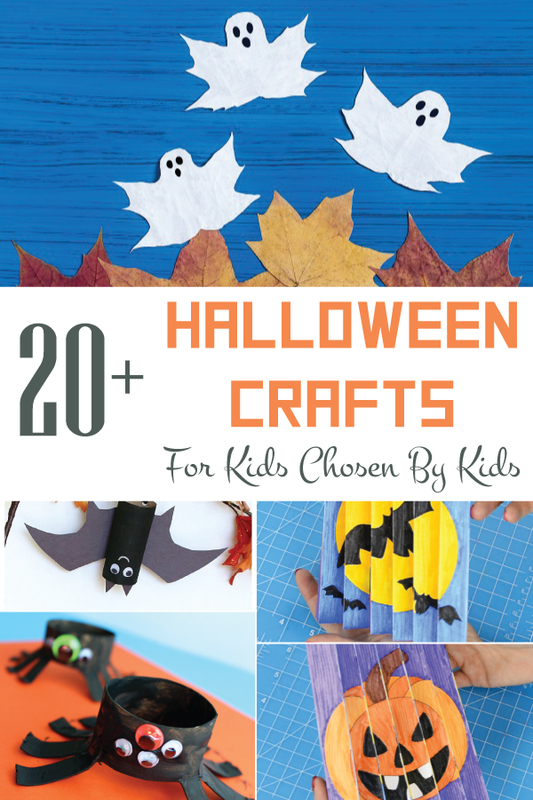 Here's our list of 20 plus Halloween crafts for kids. These look like great fun, can you imagine these hung on a piece of string around the house. I'll be honest I wasn't sure about this one but my son loved the look of it and its o simple to do so I'm sure we will get to do this on one day this week. You need a friendly bat hanging around. Kids will love making these just make sure you collect your old toilet rolls. Keep the toilet rolls out those bats need some friends. When our son Channing saw these he got super excited. Where we live people collect and paint stones for children to find so these mummy painted stones are great if this is something your community does. We've actually made a few painted stones ourselves. We usually paint the stones white and let our boys loose with the Sharpes. Hopefully your children are at an age when they are not scared of The Nightmare Before Christmas, if they haven't seen it its a must see. Our boys love it.. This craft is great because it's so simple to use and only require a paper plate, black paper, glue and scissors. The spider isn't essential unless you have some laying around the house we don't so will do without. I would have skipped past this but Channing and Luke made this yesterday and they both really enjoyed making it. If you head to there website there's a free pdf downloadable which you can print out and color right on to. Fold it up once you're done and you have a nice piece or Halloween art. We are definitely going to make a Halloween puppet show with toilet roll characters by the time Halloween arrives. Who knew they were so popular. Very simple yet effective little mummys. Do your kids love collecting leaves? Well now they can actually use them for something fun! Make some scary ghosts with leaves. It's also a great way to get your kids out if they tend to stay in a lot. Tell them you need to go out to the woods to find some big leaves to make some halloween ghosts. And so the paper plate crafts begin. Let your child get creative with this pumpkin craft. Who said you can't make wreaths for Halloween. Put this on your door to let trick or treaters know your home. These actually look a little scary to me. Your child will love making these zombie faces. More rocks to hide and collect. Slime is huge at the moment. Little Bins for Little Hands have many more slime how tos. Check them out. This would be ideal if you had a Halloween party. Make these spiders and hang them around your child's bed to get into the Halloween spirit. Add these to your toilet roll monster collection. Hands up if you did this back at school. I certainly did, let's hope your child is old enough to know not to eat the apple. I think this is clearly my pick. Crafts that I wouldn't mind being in the house for more than one day. Cute and simple crafts for your kids to try after school one day. these don't take long and are great for younger children. Adults you'll need a glue gun for these, the would look good around the house around Halloween. Let me know if you end up making any of these Halloween crafts with your kids in the comments below. If you enjoyed this post please pin it on pinterest.